Written-By – J.Muller*, Planet B.E.N. Track 2 title listed as "Out Here We Are Stoned (X-Dream Remix)"
It's time to fall awake into the strange bizarre car-toon world beyond colour. A galactic hangout where digital heroes pay stomp duty and sample the universe to capture the rapture of fluff free frequencies where entities are entertained. The sacred place of techno yogi's who are guiding us on a white knuckle voyage to eternity on a one way ticket. Diffraction reflection radiation thermo nuclear heat patterns... Electro magnetics ley lines feng shui sound water wind and language. Light beyond colour. Music is the drug - and we're on it! New tones and new toons, This is a kaleidoscopic pallet of pure prismatic pulsing pumpers. ...or is this just a pigment of your imagination!!! 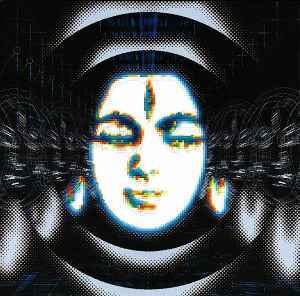 Before shutting doors in 1998 TIP had managed to introduce the dark side of goa trance. This mostly on the 3D compilation, TIP Singles 3 and on Beyond Colour, which is certainly the darkest and most evil of all. Except for the X-Dream remix of “Out Here We Are Stoned” there is no real melodic goa-trance resembling to anything TIP had released before. Most of it is high BPM wicked, dark trance with unpredictable turns and twists. Take for example the 13 minute track “Spastic Elastic” by Organic Noise. If you know Organic Noise you know it's gonna be minimalistic and repetitive, and this track is no exception but only until 4:20 :- after this you're totally sucked into this track as it folds into something melodic but still with that Organic Noise touch. Half of Organic Noise is Planet B.E.N., and there are similarities with the infamous 1996 album “Trippy Future Garden” here on Spastic Elastic. Another wicked tune is “Magik” by Hallucingen, with it’s repeating vocal sample “….it’s absolutely magic” it will keep haunting you. GMS also provide an excellent rework of Psychopod’s “Friagram”. Must say that GMS and Psychopod's (aka Koxbox) style blended perfectly back than, pity they didn't collaborate more. Except for track 2 which is the most accessible track and perhaps the track by Hallucinogen all tracks here deserve a couple of listenings before you start liking them, after which they will keep growing on you. Beyond Colour is certainly an essential release from 1998. Gone are the larger than life melodies and the exotic influence - this compilation was a sign that the music was morphing into something different.